What’s more awesome than casually chucking axes? Nothing. Nothing is more awesome than casually chucking axes. So you’re sitting around with a group of friends, trying to think of stuff to do over the weekend. Now you can do the usual, hit up a bowling alley, shoot some pool, maybe even finally get around to going to an art exhibit if you’re feeling fancy. 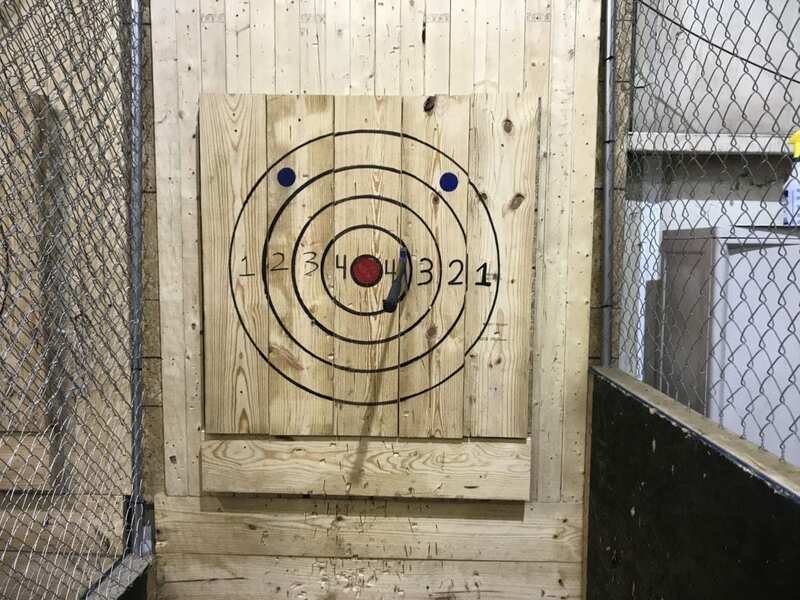 Or you can get really savage and out of the box and throw some axes at a plank of wood from 14 feet away with a bunch of your buds. 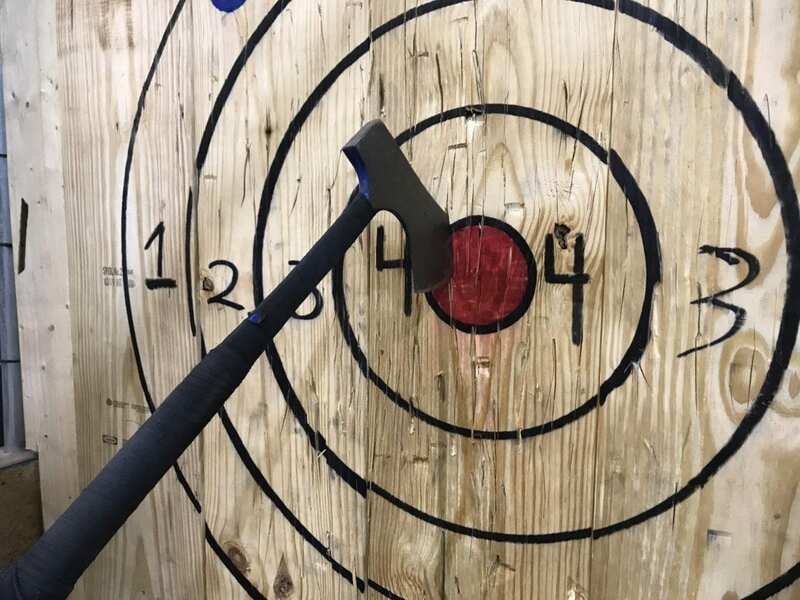 Welcome to Urban Axe Throwing, which is pretty much the best idea of a good time that you haven’t tried yet. I’d been hip to the sport for a while (as hip as anyone can be from watching a viral video of Jason Momoa chugging beer and lobbing an axe) so when I heard that the great sport of the wood and the hatchet had made its way to the Arch City, I had to check it out for myself. I met up with Marty Lee Parker, the charming and animated owner of Columbus Axe Throwing, and he hit me with the lowdown of the joint. 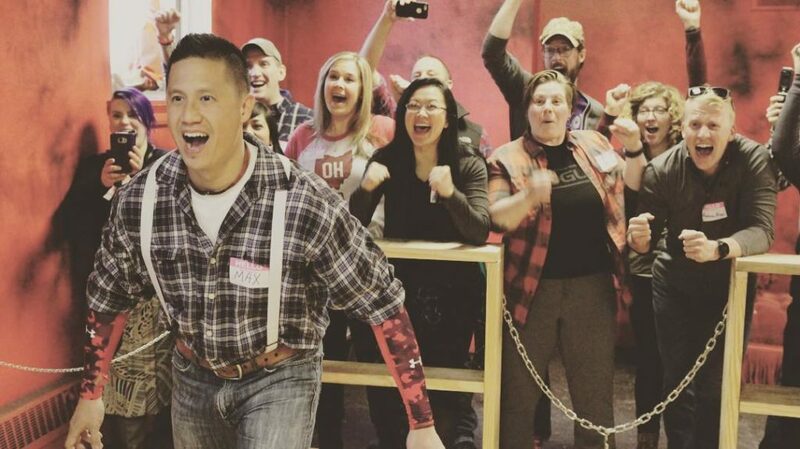 “There are four major purposes people come to Columbus Axe Throwing.” he explained. The first and perhaps largest was corporate team building. It brings together coworkers for an event that isn’t just a bunch of trust falls or overly obvious communication exercises. 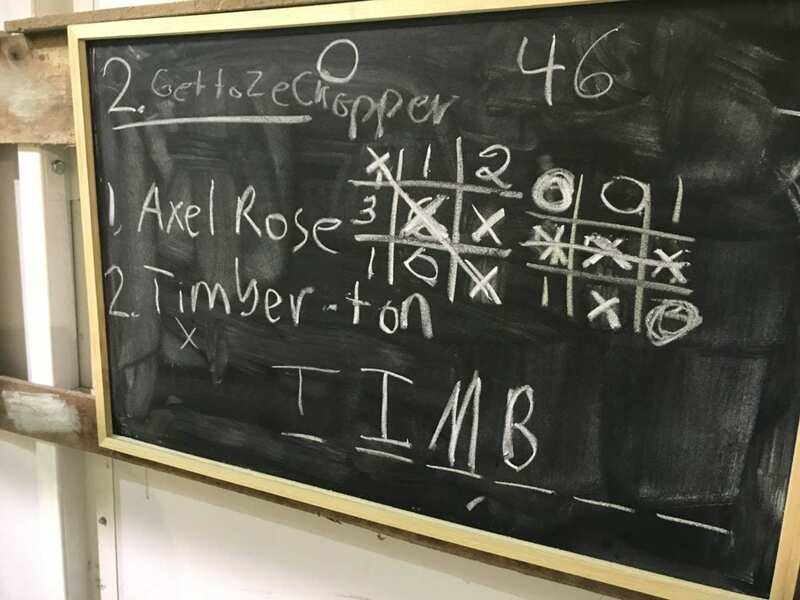 “You have to work together, to learn how to fail properly, to adjust to what we’re teaching and cheer your teammates on.” Also, anytime you get to show up Bill from accounting with your mad ax throwing skills is going to be a time well spent. The other draw is that it’s just a fun way to spend a weekend. “It’s a fun thing to do with family and friends. ‘We’re gonna go out and throw some axes!’ ‘What!’ ‘Yes!’ We’re gonna grab grandmother, bring her out!” He gestured passionately with his hands, crafting together this makeshift conversation that you couldn’t help but chuckle along with. He continued, emphatically explaining the other reasons people often come to Columbus Axe Throwing. Private parties (usually a birthday or bachelorette party) and for actual competitive play. By setting up nights for league play, people have the opportunity to collect points on a scorecard that can earn them a spot in the national championships in the States and Canada. “there’s 30 companies in Canada that do this. I own 4 different locations right now. Three in Ohio, one in Dallas, and I’m part owner in St. Louis and part owner in Houston.” But it’s more than just a North American phenomenon. 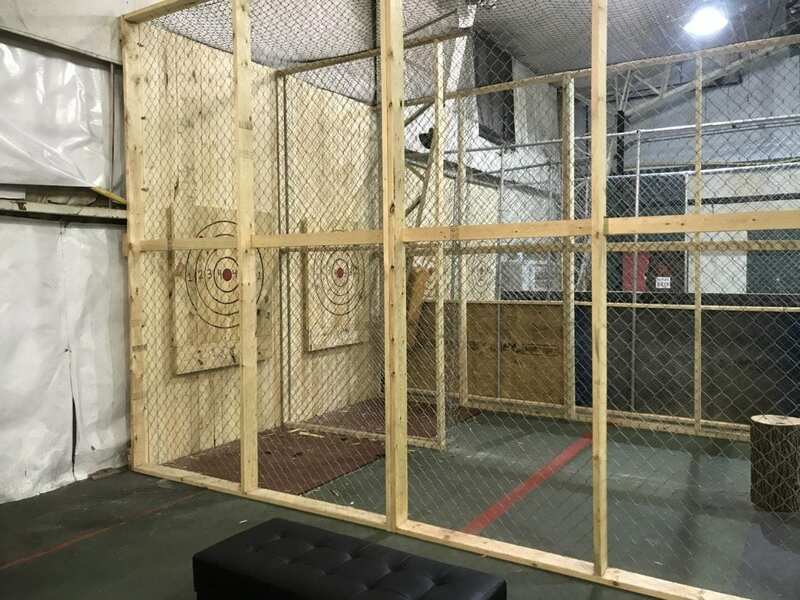 Apparently places as far as the U.K. have embraced the idea of Urban Axe Throwing. Besides totally squealing with glee the first time my ax actually sunk into the board, the whole thing went pretty smoothly and I picked it up pretty easily. More than anything it was addictive. Even when I got a decent shot it I immediately wanted to do it again, I felt like that kid who goes down the slide screaming the whole time and runs to get back on as soon as he lands. I constantly wanted to do it better, to feel the slick wood as the ax heaves out of the palm of your hand and hurdles through the air. It was more satisfying than popping a handful of bubble wrap and more therapeutic than punching a pillow. Marty looks forward to seeing the future of the sport. His vision for Urban Axe Throwing is for it to eventually be included into the Arnold Classic, a move he sees as really fitting in with their whole genre. At the end of the day though, he hopes everyone is having fun participating in what he calls “active entertainment”, something to tell people you did over the weekend rather than passively experiencing life. “Monday morning comes along, what did you do this weekend? You’re gonna say, dude I went and I threw axes.” Whether you do it for team building, for competition, or just for fun, you really just have to admit to yourself: you really do it because Jason Momoa is amazing and, at the end of the day, don’t we all want to be Jason Momoa? 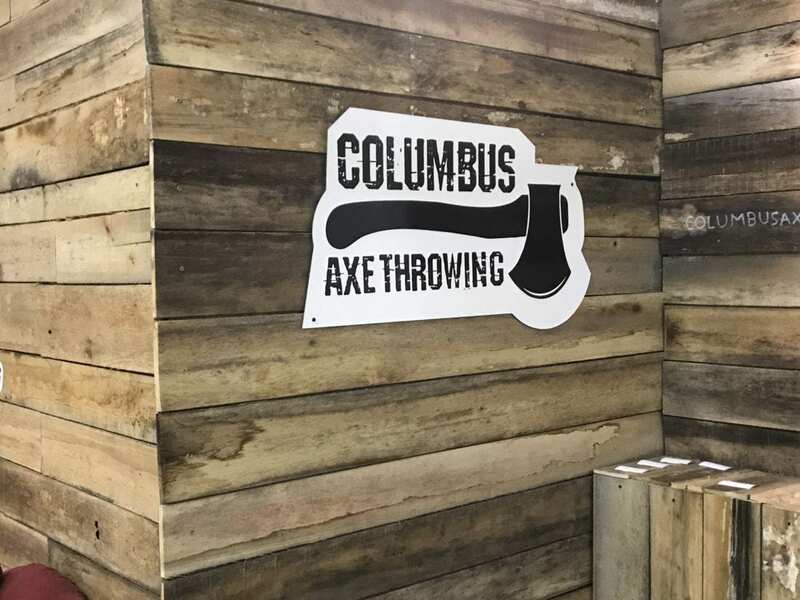 To check out more information on Columbus Axe Throwing click here. Also, I totally did get a bullseye and I’ve got the picture to prove it.